Before the 10th century, Icelanders worshiped the Æsir, or Norse gods. During their calendar month of Thorri (which runs from mid-January to mid-February), locals celebrated Thorrablot, a midwinter festival named for either Norwegian king Thorri Snærsson or the God of Thunder himself, Thor. After Norwegian king Olaf Tryggvason Christianized Iceland in 1000 AD, pagan beliefs and practices faded away. But in the late 19th century, a group of Icelandic students resurrected Thorrablot. Icelanders really put the holiday back on the map (and restaurant menus) after World War II, when a rise in nationalism gave way to a cultural revival. After dinner, Icelandic families sing traditional songs, play games, tell stories, and party until the early hours of morning. Who could resist partying like a Viking after eating like one? 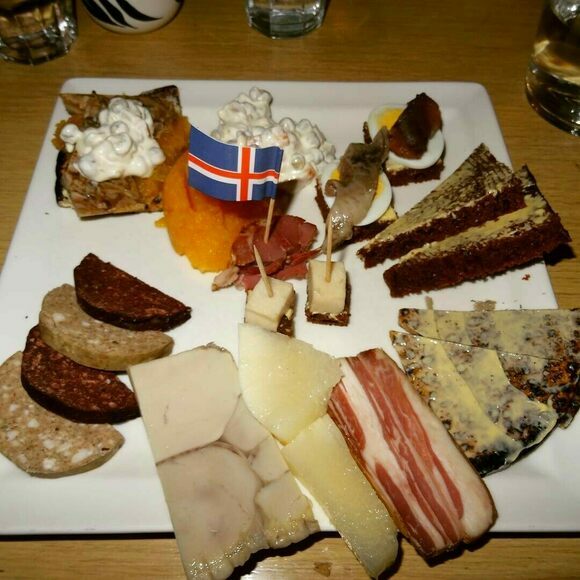 Thorrablot fare, called Thorramatur, is available in select Icelandic restaurants from January to February. In honor of Thorrablot, this establishment serves rotten fermented shark, pickled ram's testicles, smoked sheep, and a smattering of other traditional foods. This restaurant offers a buffet-style selection of traditional Thorrablot foods from mid-January to mid-February.